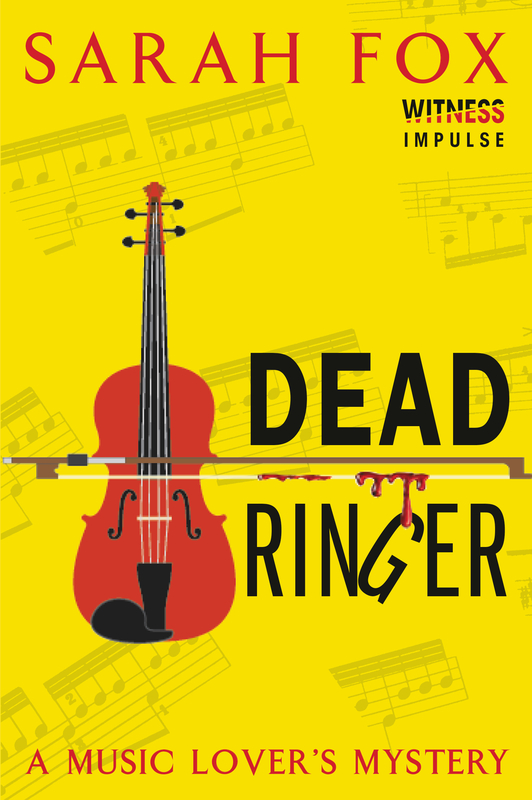 My debut novel, Dead Ringer: A Music Lover’s Mystery, has been out in the world for more than two months now(!). I’m still getting used to the fact that it’s an actual book and that there are people out there reading it, but the whole experience has been amazing so far. Although I’ve been doing things like writing guest posts for mystery writing blogs and having a book launch at the local library, I’ve also been keeping busy with my writing projects. I sent the second book in the Music Lover’s Mystery series to my editor just recently and I sent an unrelated mystery manuscript to my agent. While I wait for both of those projects to come back to me for edits/revisions, I’ve started work on book three in the Music Lover’s Mystery series. I’m so happy to be writing another book in this series because I love the characters (particularly the main character, Midori, and her best friend, JT) and I have so much fun writing their stories. HarperCollins, Amazon, Chapters, iTunes and Barnes & Noble. Last week I wrote a post about my path to publication. (You can find it here). This week I wanted to touch on a few things I learned during my journey. #1. Not everyone will believe in your goals, but that doesn’t mean you can’t achieve them. I didn’t tell a lot of people about my writing until I was published. My family, a few close friends, and the writing community were the only people who knew I was trying to get my book published. Part of that was because I didn’t want to be constantly asked “when will your book be published?” and part of it was because I knew some people would probably laugh in my face. Once when I told someone that I wanted to be a writer, that person scoffed at me as if I’d said I wanted to be Santa Claus and drive a sleigh pulled by flying reindeer. But now I am a published writer. So some people might think your goal of becoming a published writer is nothing but a pipe dream, but with hard work and perseverance, it can become reality. #2. Even if your path to publication doesn’t unfold how you’d hoped or planned, that doesn’t mean you won’t become a published writer. My path to publication took several twists and turns and I went from picturing myself as a TV writer to hoping to be a mystery writer. The book that got me my agent and my book deal was the fourth book I’d written and the third book I’d queried. Nothing happened how or when I had hoped when I first decided I wanted to be a writer, but things have worked out extremely well for me nonetheless and I’m loving where I am right now. So even if you come across unexpected obstacles or your writing path takes some unplanned turns and detours, don’t give up hope. As long as you keep writing and trying, you can keep moving forward. #3. No two paths to publication are the same. It’s so easy for us writers to compare ourselves to other writers, especially when we see lives and writing journeys unfold on social media. But it doesn’t matter if the things that are happening to writer X and writer Y aren’t happening to you at the same time. Your path to publication is yours alone and it will never be exactly the same as anyone else’s. The fact that others are having success when you aren’t doesn’t mean that you won’t find success down the road. Those are a few things I’ve learned over the years. I’m still learning more every day, and hopefully that will continue for the rest of my writing days. For those of you who are hoping to become published writers in the future, I hope this post has been helpful. I thought I’d share a bit about my path to publication, how I went from first deciding I wanted to be a writer to getting a book published. Although I always enjoyed creative writing, it wasn’t until I was in my mid-twenties that I decided I wanted to pursue writing in a serious way. At that time I envisioned myself as a television writer. I had written several original tv scripts and had done a bit of spec script writing too. However, I had no clue how to break into the television industry and one day I decided to turn one of my pilot scripts into a novel. Once I’d written one novel, I wanted to write another one. 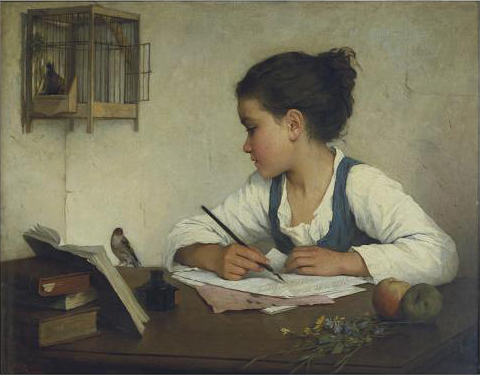 By the time I’d written my second novel, I knew I wanted to pursue publication. My vision for my writing future had shifted, and not for the last time. The first novel I queried was a sci-fi book and the second was an urban fantasy story. At that point in my life I was hoping I could one day have a career as a sci-fi/fantasy writer. I wasn’t having much luck with querying, however, and after a while my mind was tugging me in a different direction. I’ve loved mysteries for as long as I can remember. Mysteries are my favourite books to read (especially cozy mysteries) and I wanted to write one of my own for a long time. When I finally decided to give it a try, I wrote my cozy mystery, Dead Ringer. By the time I’d finished the first draft, I knew that what I really wanted to be was a mystery writer. I felt differently about Dead Ringer than I had about any of my previous manuscripts. I knew it was of better quality than my other books and that gave me a sense of confidence that I didn’t have before. After getting feedback from my critique partners and editing the manuscript several times, I started querying. I had a dream agent in mind and, luckily, I ended up signing with her in June 2014. Within two or three weeks, she started submitting Dead Ringer to publishers and a few months later I signed a three book deal with HarperCollins/Witness Impulse. Dead Ringer: A Music Lover’s Mystery was released in June 2015 and the second book in the series will follow in January 2016. Next week I’ll share some things I learned along the way to publication.